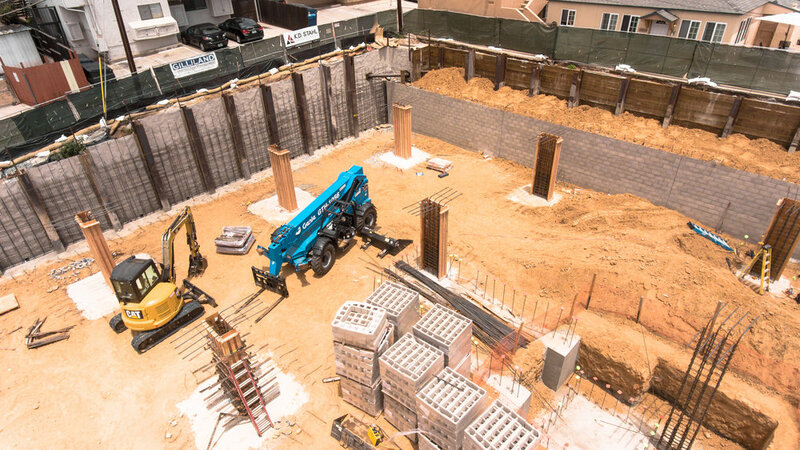 The underground parking is complete and the first floor has begun framing. K.D. 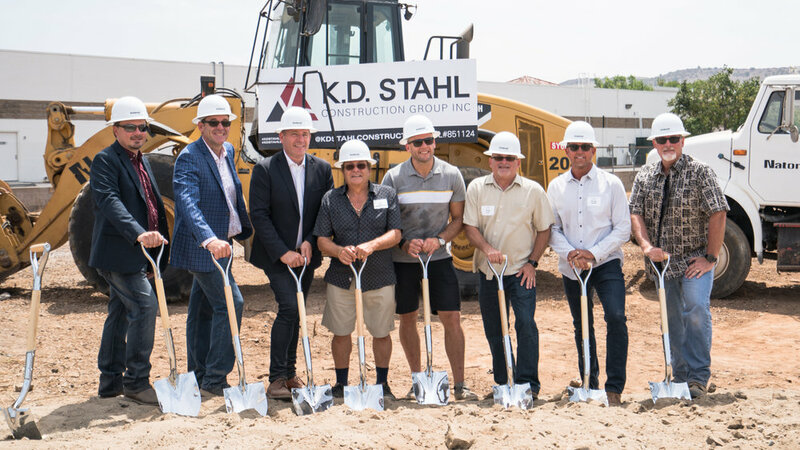 Stahl Construction Group Inc. has proudly been awarded the Outpost Project located in Poway, Ca. This project is noted as a monumental project for the city of Poway. 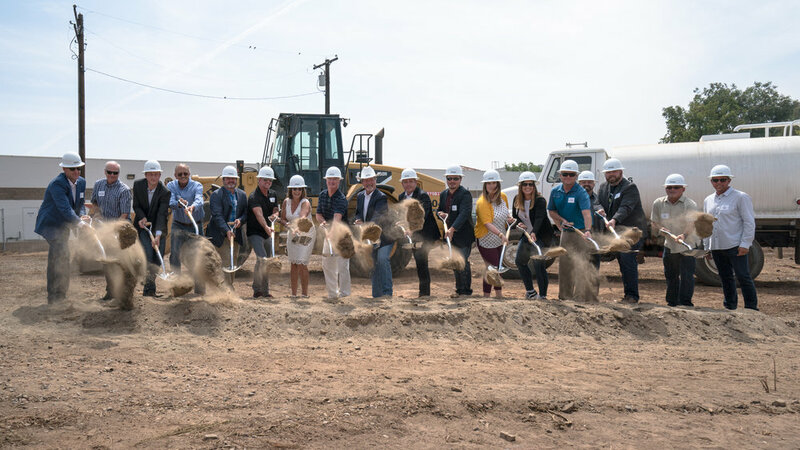 The Mayor himself stated that this is the beginning of a new era for Poway, with the first underground parking structure as well as a mixed use building. 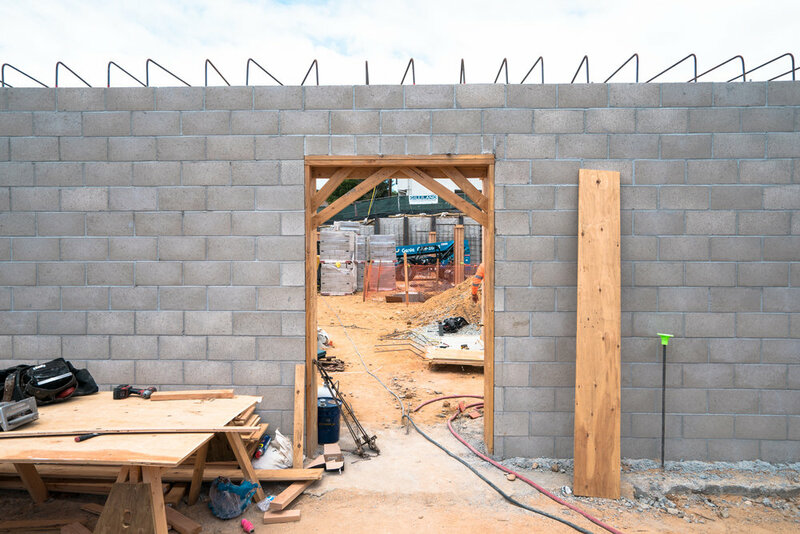 This project will include a gym by Crunch Fitness and a food hall experience by the restaurant group 3 Local Brothers offering diverse cuisine to meet everyone’s palette. There will be an outdoor movie screening area as well as a communal work space giving the community of Poway a hip place to venture out to. The new 30,000 sq.ft. Bedrosian Tile & Stone showroom and warehouse is officially open for business. It was a privilege attending their grand opening and seeing the building full of product and displays. Scope: These tennis courts are the future site of the Axiom Tustin Clubhouse. The building will be a ground up 4,200 square foot single story clubhouse and leasing office with high end finishes. This project also adds a covered patio area with fireplace, a new parking lot and site improvements. Scope: Tenant improvement to existing office space to provide commercial interior office alterations for suites 201 & 202. Scope: Project consists of a tenant improvement to an existing kitchen located at the lower level of existing building. Work includes installation of new kitchen equipment and hood, and the addition of one accessible restroom. Additional work entails plumbing, mechanical and electrical, no load bearing walls shall be removed as part of this tenant improvement. With the flooring completed and showroom finishes being installed we are getting close to completing this project. The electricians have installed the remaining light fixtures and the HVAC crew is dialing in the last details of their scope. Now that the warehouse space has all the racking in place and the 10,000 lb. crane has been installed, the epoxy finish is being applied to the warehouse space. We will be updating you as we close in on wrapping up this project and handing it over to Bedrosian Tile & Stone.